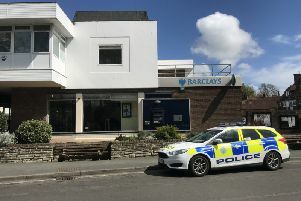 An office block in Horsham's town centre was broken into last night and businesses inside targeted by burglars. Staff arriving for work at Springfield House in Springfield Road found the front door smashed and damage to some offices inside. Police are currently at the scene investigating the crime. The building is home to a number of companies, including the West Sussex County Times.